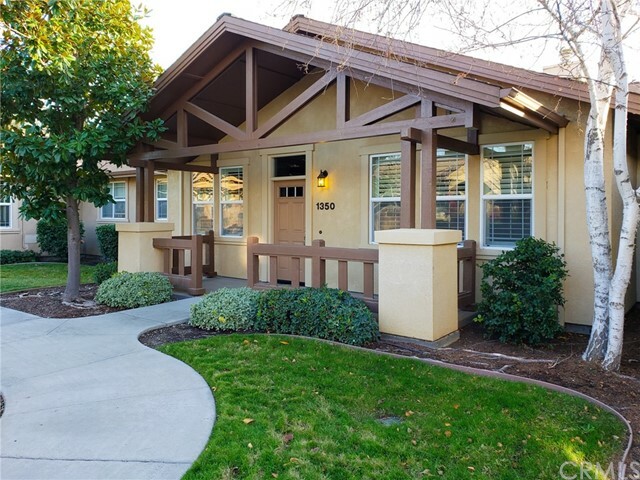 Fabulous home in Orlands very own, designated 55 & older, Fairview Village! If you have been searching for the perfect low maintenance home, look no further; this 2 bed, 2 bath, 1147 sq ft home has all the amenities without the work! The open floor plan is exactly what you have been searching for, with gorgeous flooring, stylish plantation shutters, and crown mouldings! The spacious kitchen boasts tile counter tops, white appliances, and plenty of cabinet space for all your cooking gadgets. Hallway closet has space for stackable washer and dryer. Relax on a sunny afternoon on the patio enjoying the beautiful landscaping or snuggle up for cozy winter evening by the gas fireplace. You even have the option to enjoy the additional conveniences offered by the Westhaven Assisted living next door (Ex. housekeeping and in home meals) for minimal additional fees. Nicely paved walkways and manicured grounds throughout the community create the perfect atmosphere to picnic, play games, or enjoy quiet strolls. (These are single family homes attached by a garage wall in groups of 3) Lot Size, Sq ft and year built all taken from county record, buyer to verify to satisfaction.